Allen Clarke, our Dartmouth Correspondent, has tracked down a couple of terriffic photographs of Jaslia. He writes, “Having read the New Year 2017 Journal article about Omega of Vancouver I noted that Jaslia had GP Mitchell listed as her builder in Mevagissey. I wondered if that was the same as Percy Mitchell from Portmellon, which is just down the coast from Mevagissey. 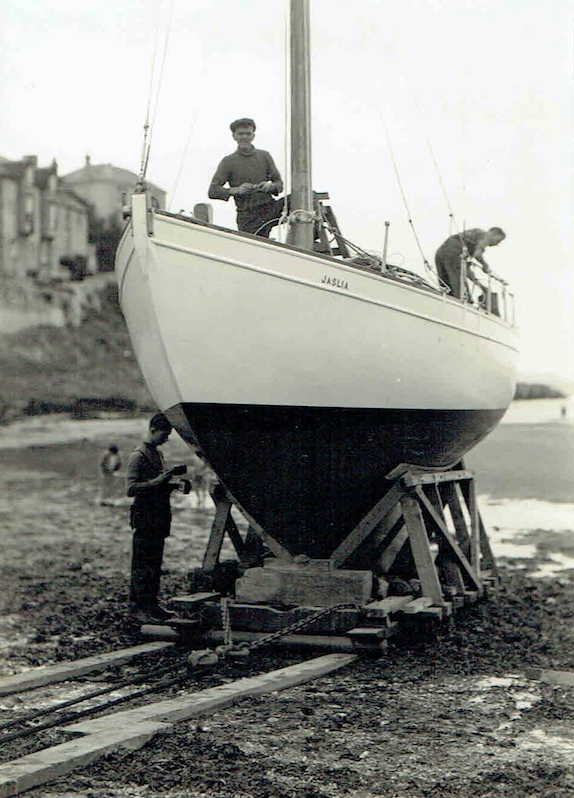 The name Mitchell is revered in boatbuilding circles and by mariners alike, especially in the West country as the yard was famed for being able to produce dinghies, punts, fishing boats, ferries, tugs and yachts; powered or sail. There are any number of Mitchell built wooden fishing boats on the Dart and the tugs for the lower ferries were, until a few years ago, Mitchell built as well. 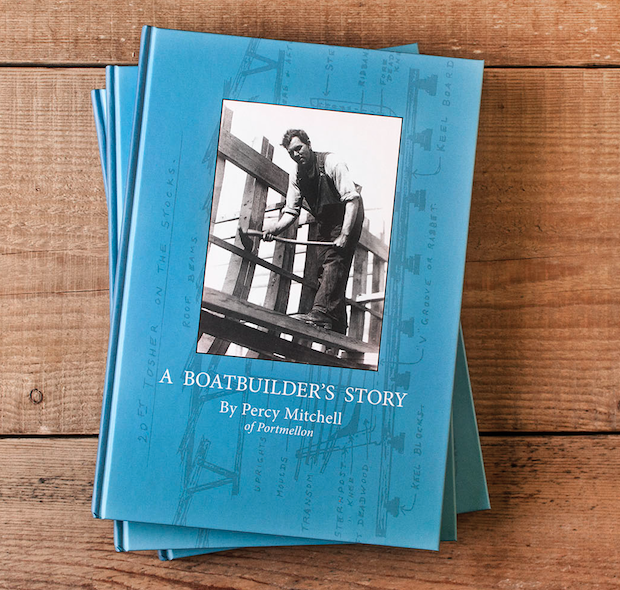 I investigated further by delving into my copy of Percy Mitchell's autobiography A Boatbuilders Story. There I struck gold for Jaslia is listed as build N° 97. She is further mentioned in the book under boats built in 1939 as being sloop rigged, 27' LOA by 9' beam with an auxiliary engine. No photograph exists of her in the book but I sent an email to Gary Mitchell who I ordered my copy of the book through last year, asking if he had any photos, and he has kindly furnished me with the attached pictures. If you don't know the book it's a charming, unfussy and wonderful picture of a traditional boat builders lot. Gary Mitchell is one of Percy's sons. 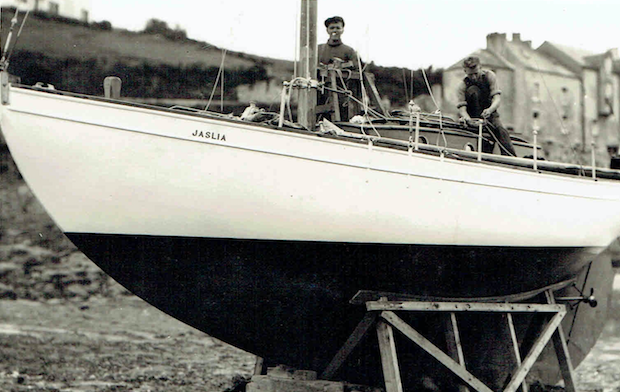 He is a successful designer of working/fishing boats in his own right and still lives in Portmellon. In the latest revision (2014) of the original book (published in 1968) there is an interesting chapter on Gary and his exploits. Its well worth the read. The book is available on Amazon, but is cheaper via it's own dedicated website”.